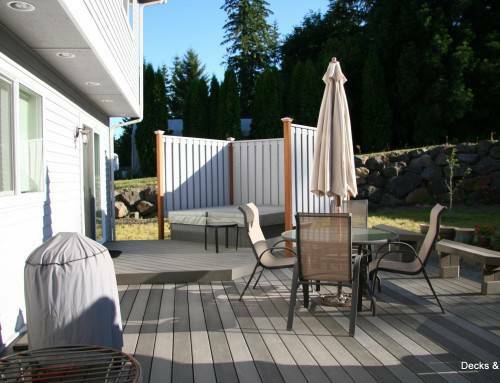 Before we design and build a deck we look at how the area is being used and we look at the potentially of how the area could be used more effectively. 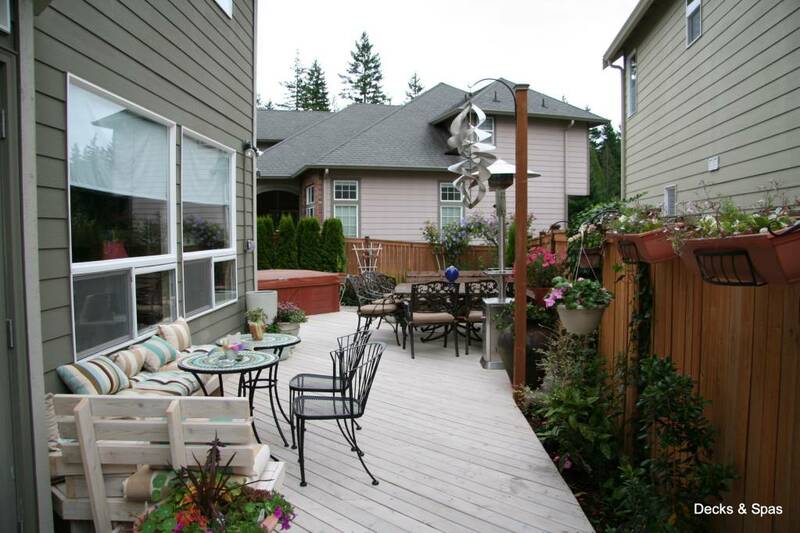 We transformed the backyard of this suburban house to give the customers a resort of their own. 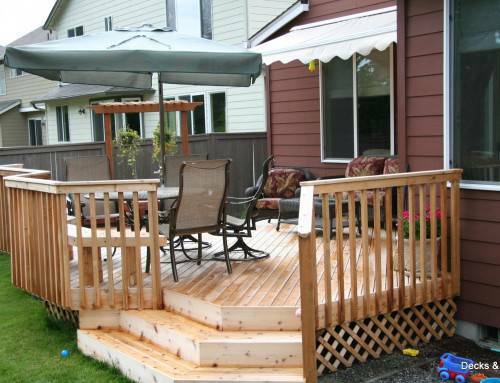 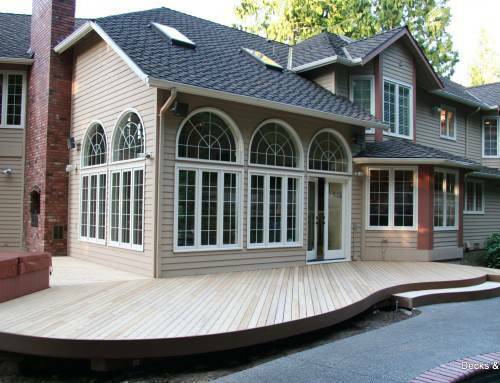 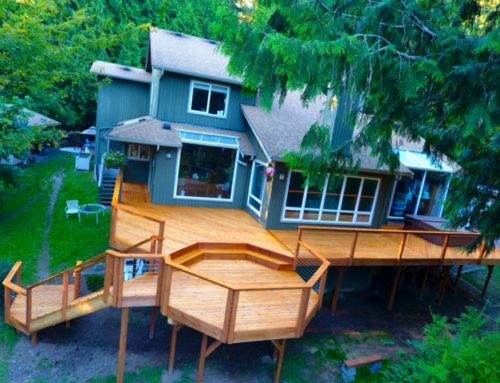 The deck wraps around the entirety of the back of the house, giving complete accessibility for the user and their guests to roam around or to relax wherever they see fit at the time. 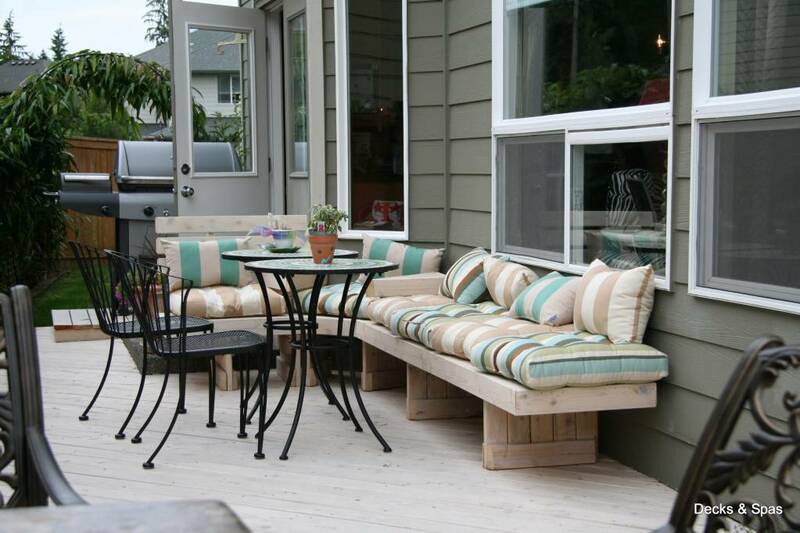 The deck allows for creative uses of the space such as the small lounge and coffee table area or the larger dining table where they enjoy their meals in the summer. 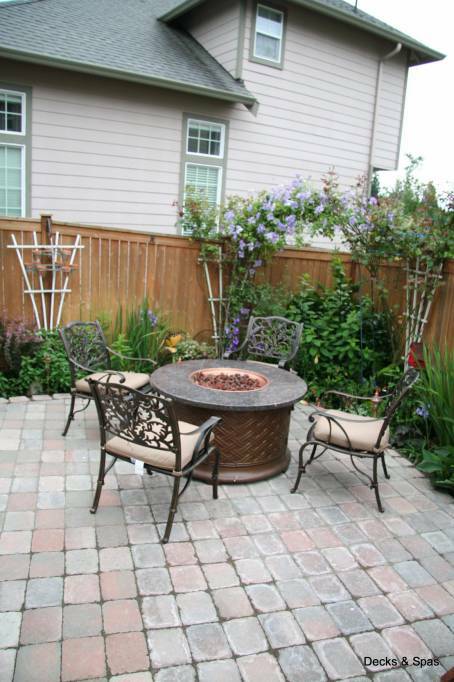 Even further along we used a brick patio area to complement the deck and the landscape even further, adding a fire pit to that area gives you a place to relax and warm up at the end of the night. 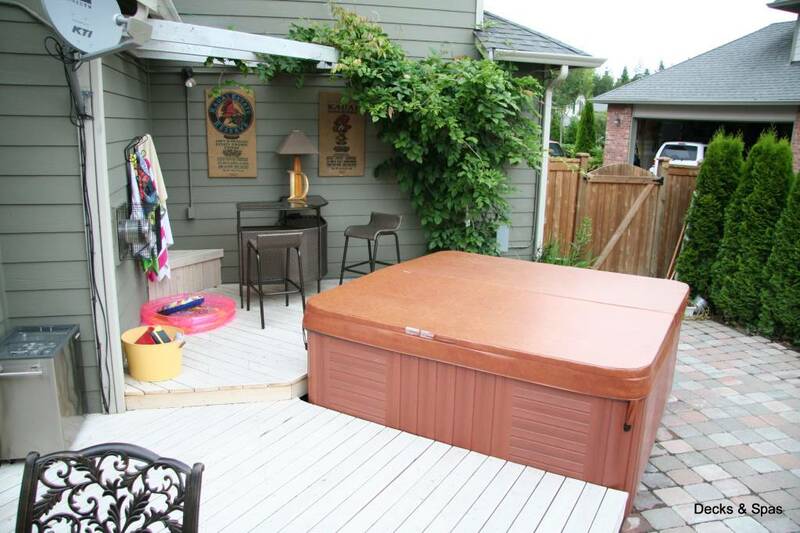 All the way the hot tub is there, ready for use and easy accessibility. 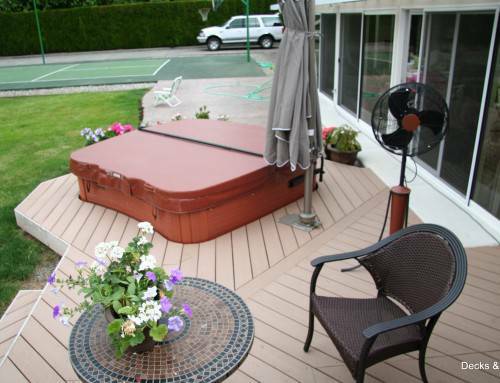 The way the hot tub fits with the deck it does not take up unnecessary space or interfere with the design.